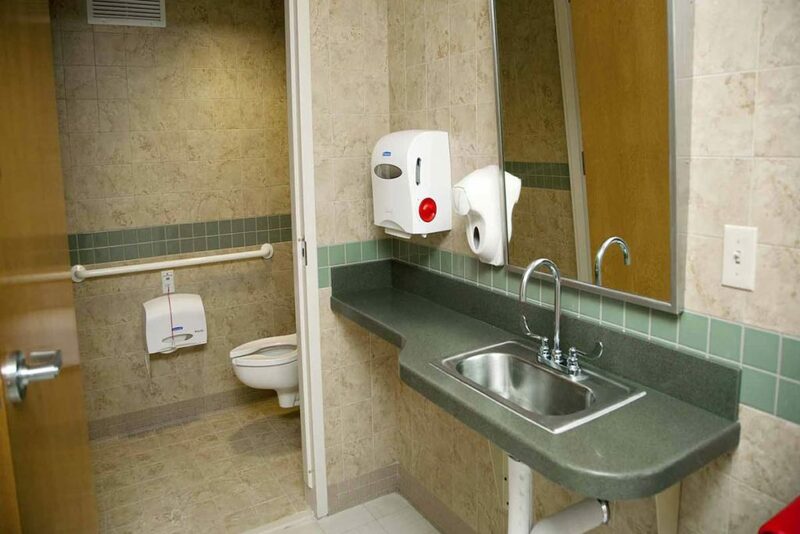 Complete renovation of 104 patient restrooms and 3 patient spas in active wards located on the 1st and 2nd floors of the Community Living Center, Spinal Ward, 9th Floor and 12th Floor ICU of the main hospital building. 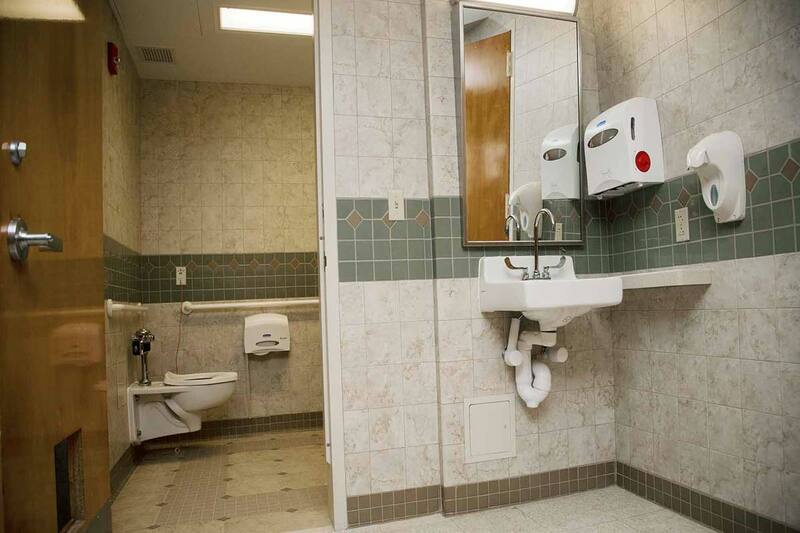 Infection control measures were established at each location to perform abatement and demolition activities. 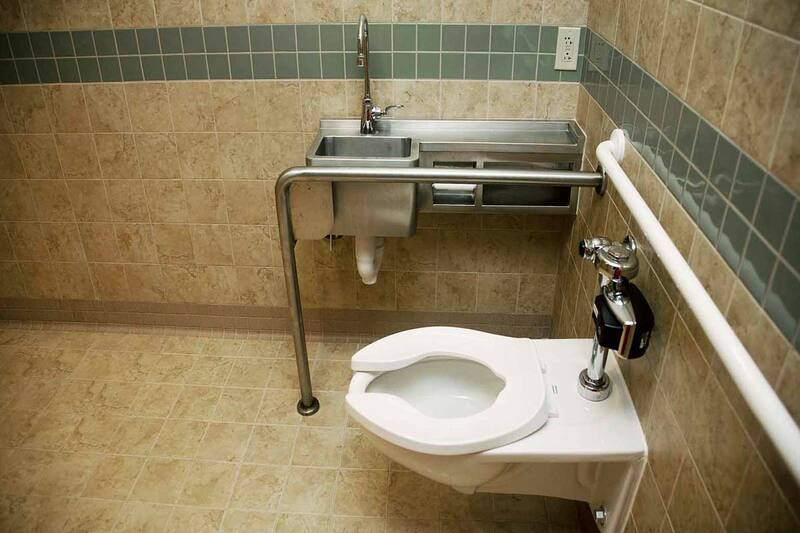 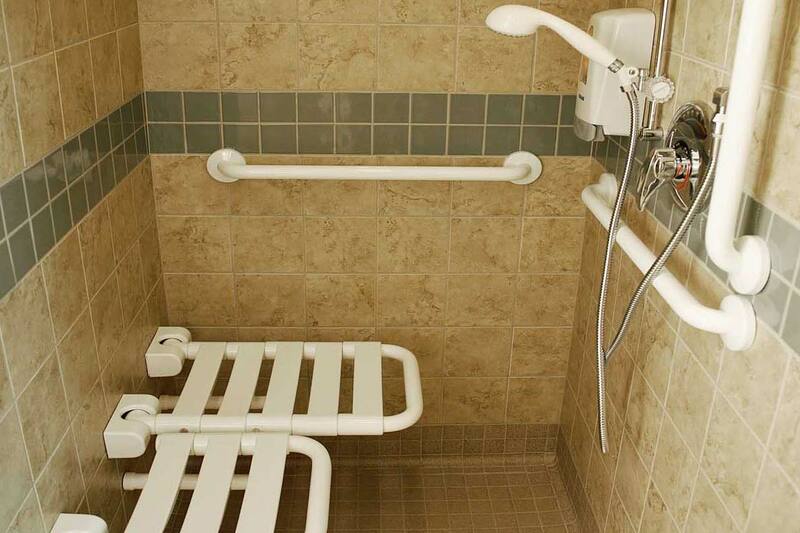 Plumbing and electrical infrastructure was reworked to reconfigure restrooms per ADA guidelines. 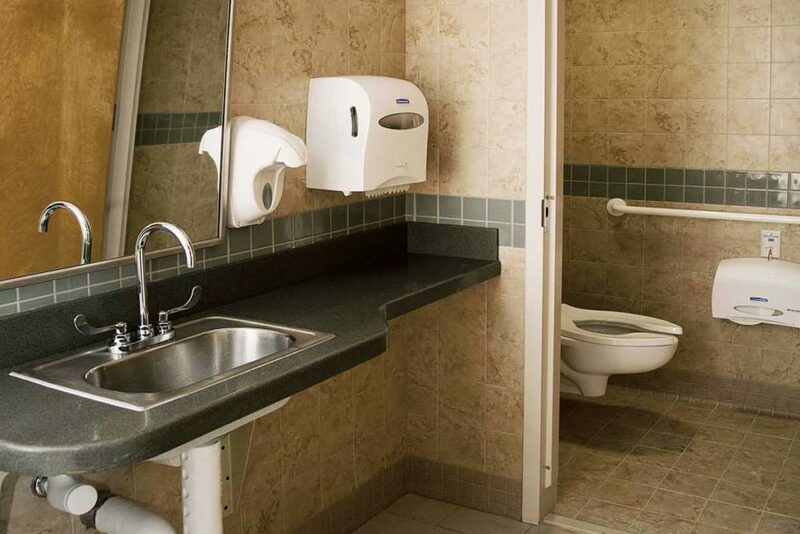 Finishes included new ceramic tile, millwork, accessories and fixtures transforming these outdated spaces into state-of-the-art restrooms. Extensive Phasing – The project had essentially 104 individual project sites all located in active patient wards that were completed in 18 phases of construction. 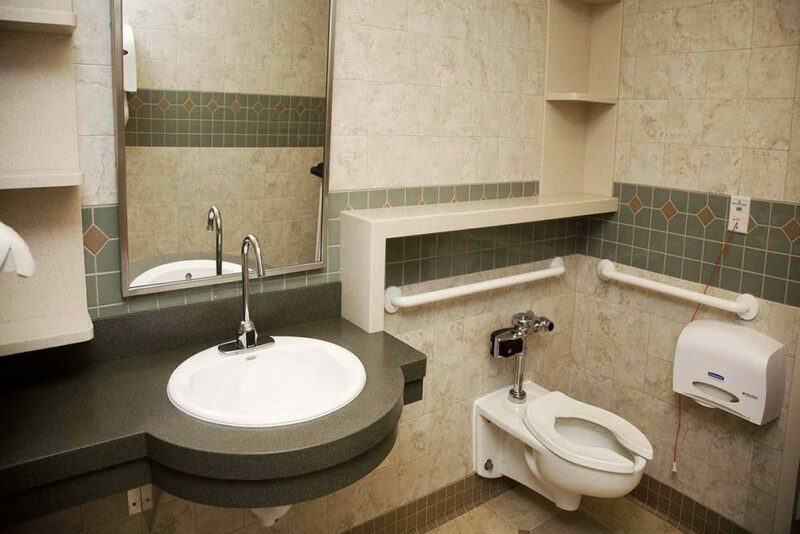 Significant Coordination – Each phase had its own construction schedule and required coordination, mobilization and management of 17 subcontractors along with 5 independent nursing teams within the facility.